During his historic tenure as basketball coach of the UCLA basketball team, John Wooden created a set of 12 points on the lessons of leadership. Wooden challenged his basketball teams to follow these maxims so that they could become strong leaders through life. His impact within the game of basketball is nothing short of the perfect success story, demonstrating how leading by example is a reality. Sports is a good example for his philosophy, but his ideology can be applied to all facets of life. When I wake up every morning, Wooden’s 12 lessons hang on my bedside wall, and I encourage myself to reflect upon how I can live through these values to be a good example for others. Three of the 12 lessons stick out to me the most. The first lesson explains that “Little things make big things happen.” When you focus on the task at hand, no matter how small, you are making a monumental difference towards a larger goal. Being a staff member of my high school’s newspaper has expanded my knowledge of this epigram. Whether the article topic I am assigned to write about is as mundane as a school board meeting on a Tuesday or as exciting as a football game on a Friday, these topics both share the same care and attention. In my sophomore and junior years, I always aimed to turn my articles in on time and help edit articles as much as possible. Being conscious of my responsibilities positively affected how quickly our final print editions could be finished. Now, as a senior, I have an obligation to set a precedent for the new staff members to follow. To keep the newspaper running, each member must do his or her job. The second lesson that applies to me the most is “Emotion is your enemy.” Growing up, I played on 18 different teams in three sports: basketball, soccer, and baseball. Effective leadership to me is the ability to communicate with your peers, and to stay positive, no matter how poorly you or the others on the team are playing. The first two qualities come to me somewhat naturally, but I’ve always struggled with the third quality on the court. It was difficult for me to not take my frustrations out on others or on myself. This would affect my ability to think straight and make decisions. This is perhaps the best concrete proof that suggests that leading by example is an important trait. In my first year of volleyball, the seven seniors on the team taught me to control my emotions through their play on the court. I was lucky enough to have a shining example to follow for the rest of my athletic career. As evidence, both the varsity basketball and volleyball coaches have entrusted me with the role of team captain. The final lesson that Wooden stressed is that “Adversity is your asset.” Times of great distress or hardship always call for a person’s best effort, no matter the circumstances. A good leader will take control of the situation and encourage others to do the same. When I was on a five-day canoe trip in the remote waters of Canada, I, along with the two others in my canoe, were hit by a strong windstorm. My group quickly realized that we were not getting very far, and that it would take a combined effort in order to reach the shore. I shouted to the other two to paddle as hard as they could, and to paddle at the same stroke count for more power. We wanted to set an example for the other boats behind us that it was possible to cross the lake. It took us one hour to travel 700 feet, but we finally reached land. The storm was an obstacle that taught us to be accountable for our actions and to show poise in a time of challenge. The John Wooden philosophy shows clearly that leadership is passed on through generations. By following the examples set by leaders of history, one can learn to be a good leader. Each of Wooden’s 12 points outlines the types of situations in which leading by example is needed the most. In essence, the word “lead” implies that a leader shows others what to do. Common sense then dictates that leading would be setting an example for others to follow. Wooden not only spoke about how he was a leader of his teams, but also took action to prove it by winning ten national championships, a number that is to this day unrivaled by any other coach in the history of college basketball. Therefore, to lead by example is a reality, not a fiction. 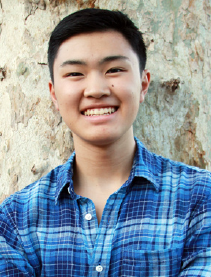 Alexander Nakagawa is a senior at South Pasadena High School. Opinions expressed are not necessarily those of The Rafu Shimpo. You are an excellent leader….Thank you for sharing this testimony of how John Wooden’s example has impacted you in such a positive way….God bless you.